This dish makes a quick and easy dinner out of simple ingredients you probably already have on hand. 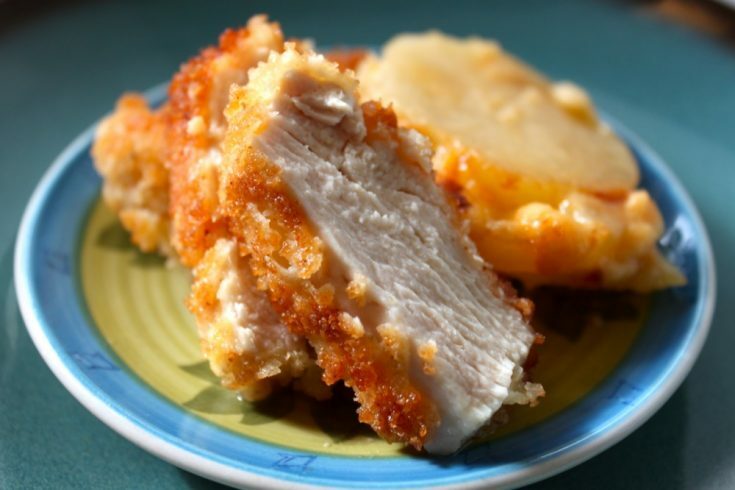 The chicken stays juicy and tender, and the crunch from the panko breading is amazing. Start by putting a trimmed chicken breast into a plastic baggie. Flatten the chicken breast using a large can, a rolling pin, or the smooth side of a meat tenderizing mallet. Get the chicken to about ½ – ¾ inches thick. Repeat this process with each chicken breast, and then cut the breasts into palm-sized pieces. Mix in a small bowl ½ cup flour, panko bread crumbs, salt, garlic powder, lawry’s seasoning salt (or your favorite brand! ), cayenne pepper, and onion powder and set aside. In another bowl, mix egg and milk. In yet another bowl, place ½ cup flour with a bit of salt & pepper. Mix well. Preheat oil in a large skillet. 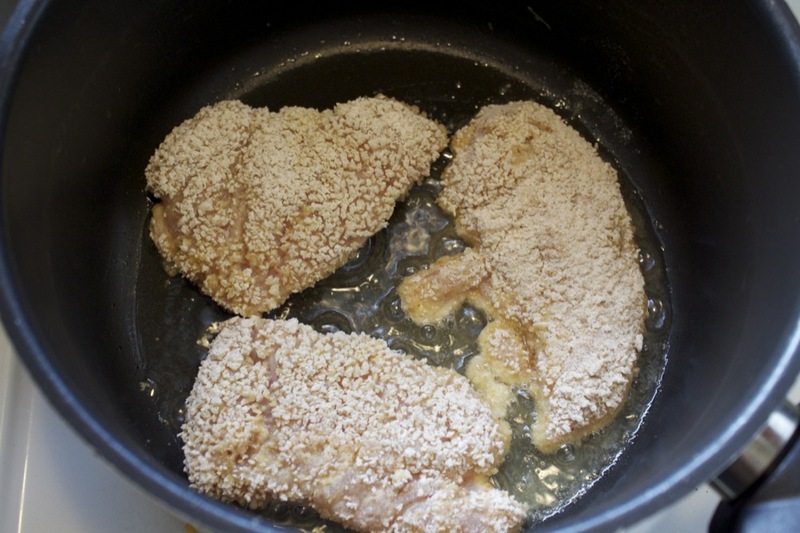 When the oil is heated over medium-high heat, bread the chicken breasts by first dredging in the flour, then the egg mixture, then the panko breading mixture. Cover completely and place directly into the hot oil. 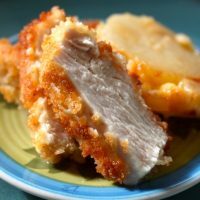 Delicious, golden brown panko breaded chicken breasts are a perfect weeknight meal that is good enough for company, but easy enough for anyone. Place chicken breasts, one at a time, into a plastic bag. Flatten using a rolling pin or meat hammer until they are uniformly 1/2 - 3/4 inch thick. Repeat until each breast is pounded out. Cut breasts into palm-sized pieces. 2. Mix together 1/2 cup flour, panko, salt, garlic powder, seasoning salt, cayenne, and onion powder. Set aside. In separate bowl, mix egg and milk. In another bowl, place 1/2 cup flour with a few shakes of salt and pepper. Mix well. 3. 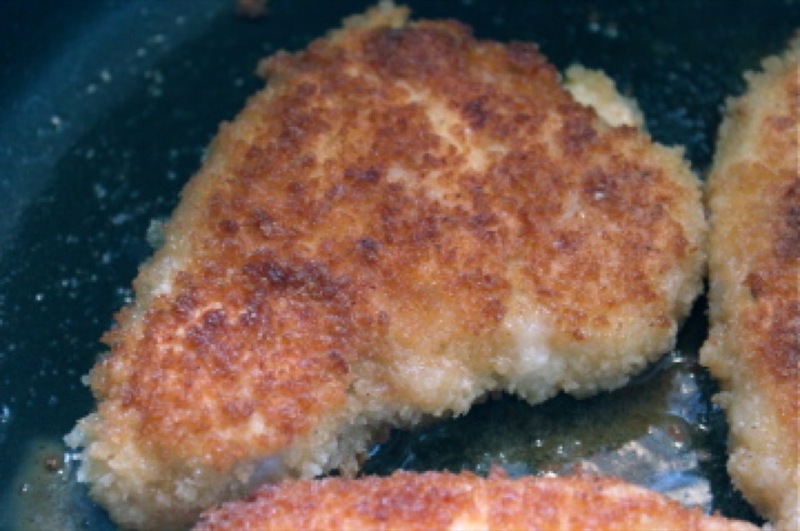 Using a fork, dunk each piece of chicken first in the flour, then into the egg wash, and finally coat with the panko mixture. Make sure in each step the breast is coated completely. Fry over medium to medium high heat in preheated oil until golden brown on both sides and inside is no longer pink, approximately 6-7 minutes depending on your stove. 4. Remove from oil and let sit for 3-4 minutes on a wire rack before serving.